Let’s face it we all live very busy lives and many of us work long hours and there’s not always time to do loads of cooking in the evenings when you’ve also got washing to sort out, cleaning to do etc. Sometimes you just can’t beat the convenience of a ready meal. However, your ready meals don’t have the be the cheap additive filled, salt and sugar heavy kind you buy in the supermarket. If you plan well and spend a bit of time prepping food at the weekends and spend a bit of money on tupperware, you can easily fill your freezer with lots of scrumptious homemade ‘ready meals’ of your own. 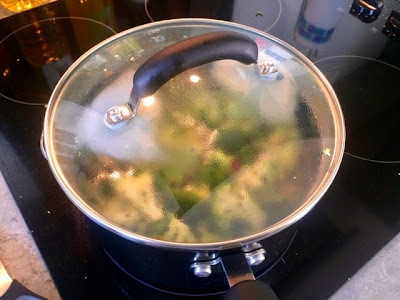 Recently I took the opportunity of a day off to do a bit of batch cooking and fill up my freezer for those night’s when I come home from work and just want something I can easily heat up without any fuss. 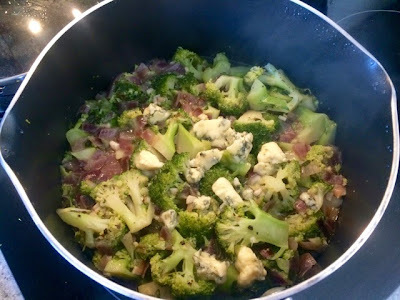 I did a big shepherd’s pie which I then froze in individual portions and I also made this broccoli and Stilton soup for a quick and light midweek dinner. 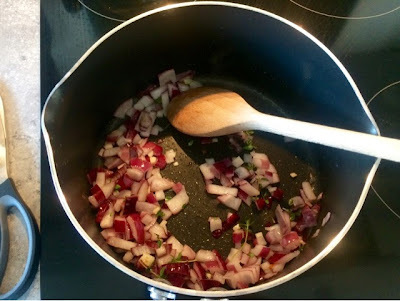 I prefer to use chicken stock with this recipe but use vegetable if you’re keeping it strictly vegetarian. Now I won’t take credit for this one, the recipe is entirely my sister’s. It’s something she’s been making for ages and something that I often eat at her house so I had to steal the recipe and share it! 1. 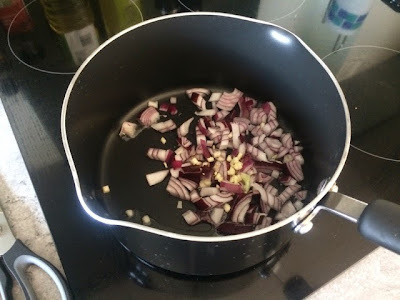 In a large saucepan gently sweat the onion and garlic in a little sunflower oil until softened. 2. Scatter in the thyme and cook for a further 2 minutes. 3. Throw in the broccoli and mix everything together. 4. 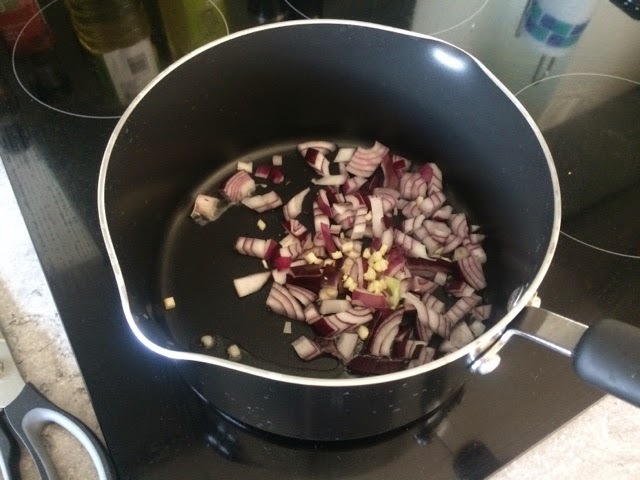 Pour in the stock and cover with a lid. 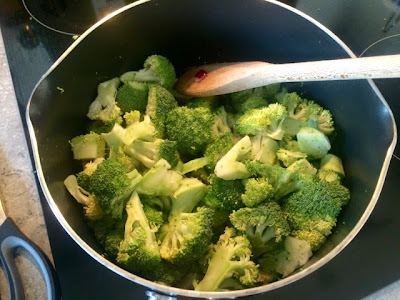 Simmer for around 10 minutes until the broccoli is cooked. 5. Remove the lid, season well with salt and pepper and crumble in the stilton. Mix thoroughly. 6. 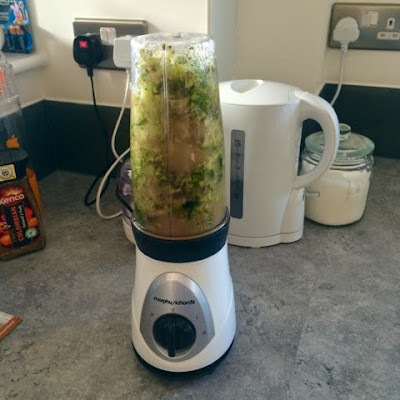 If you have a hand held blender blend it into a smooth soup in the saucepan. 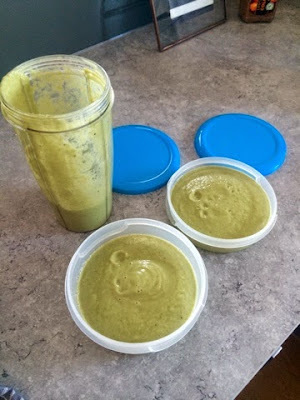 Otherwise do what I did and transfer the soup into a food processor or blender and mix the soup into a smooth texture. Do it in batches if necessary. 7. When completely blended transfer into tupperware pots in individual portions. Leave to cool completely before freezing. Alternatively serve up straight away with a drizzle of cream or yoghurt on top and nice hot crusty roll.